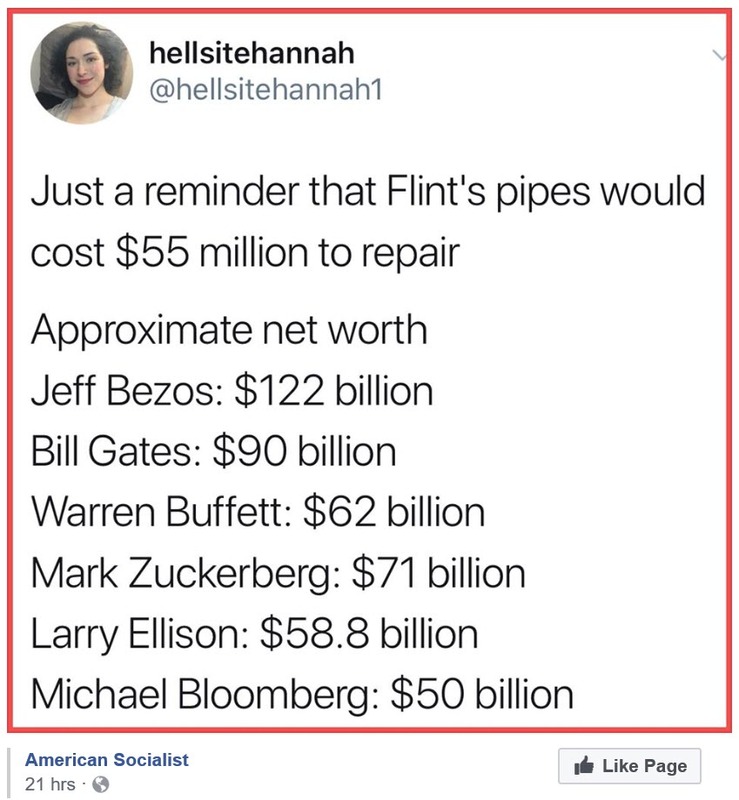 Yes, fixing all of Flint’s pipes would eat up only one tenth of one percent of Warren Buffett’s net worth. Are these private citizens expected to pay for the damage caused by the governor of Michigan and his incompetent administrators? It has also been suggested that the federal government should pay for Flint’s pipes. I certainly don’t want my California taxes to go to pay for the negligence of the governor of Michigan and his incompetent administrators! But while we’re comparing innocent citizens’ net worth with public administration disasters, how about we look at some of our military spending. The U.S. military is planning on buying 2,443 F-35 jets, each at a cost of more than $200 million. Check my blog post to that effect here. My suggestion is we get by with a measly 2,442 F-35 jets and use the $200 million we save to give $55 million to Flint for their pipes. Then we have $145 left, which should pay for about a year of the Trump family’s vacations and associated security costs. Win – win – win!